Regulator - Our simple rugged design utilizes the same time proven technology found in typical regulators used by SCUBA Divers around the world. 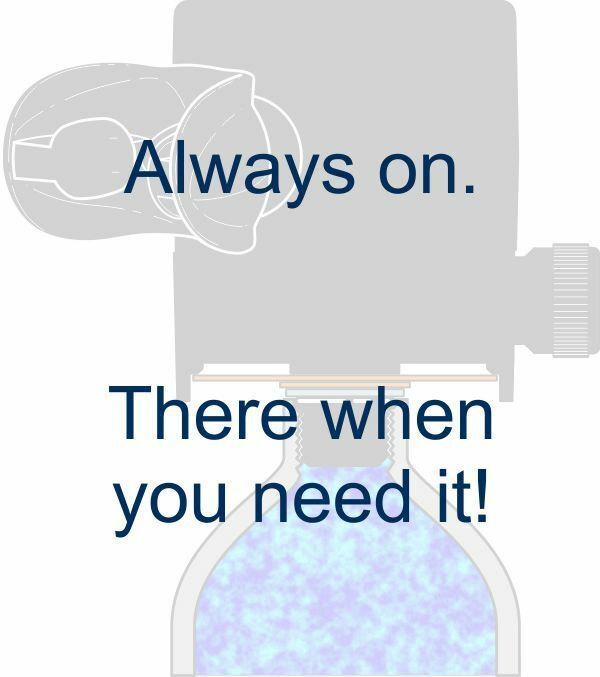 Our always-on, breathe on demand, balanced single stage regulator is easy to maintain and service. Pressure Indicator - The standard indicator is easy to read by the White Indicator Pin rising up when the Spare Air has filled to 3000psi. A Dial Gauge Pressure Indicator is available as an optional accessory. 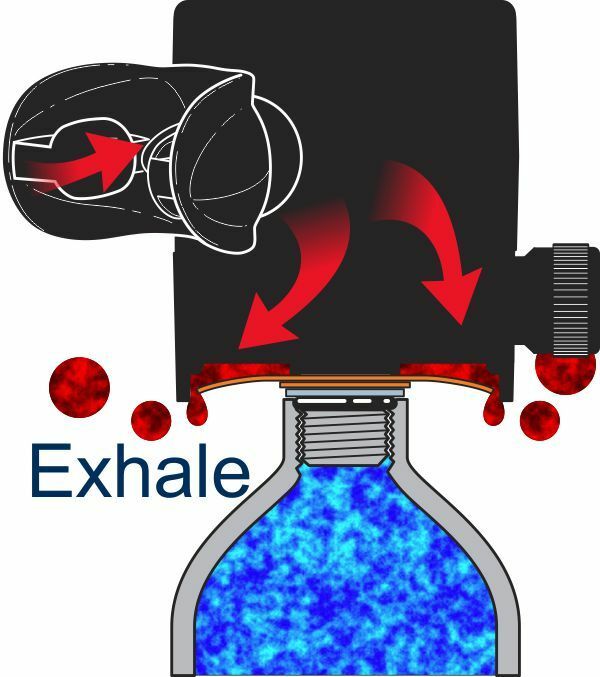 Purge Button - Clears the regulator and empties the Air Tank. Mouthpiece - Standard regulator mouthpiece carried by SCUBA Diving Shops everywhere and is the same model used on most regulators. Check Valve Refill Port and Cap - Remove the cover and attach the yoke style Refill Adapter (included with every Spare Air, patent pending). 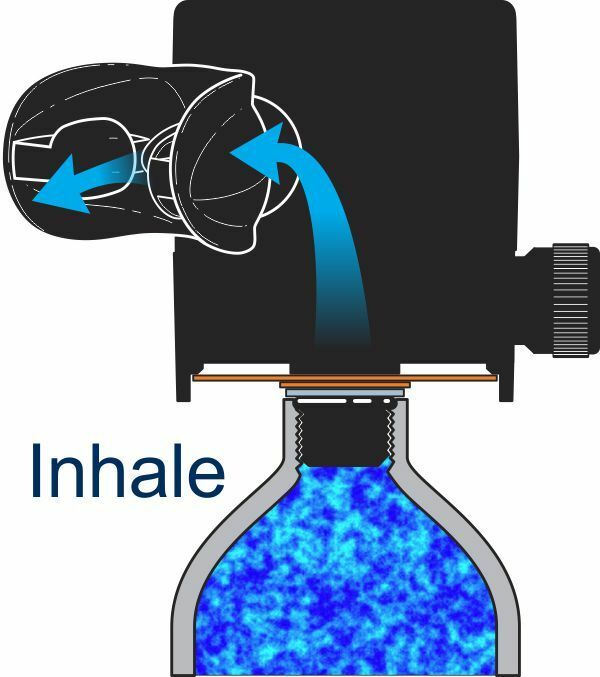 Attach the other end to a filled SCUBA tank and in 30-60 seconds, your Spare Air is full. 3000 PSI Aluminum Cylinder - This SCUBA cylinder is manufactured just like standard SCUBA tanks, with the same safety features. The cylinder should be inspected annually and hydrostatically tested once every 5 years. VIP Sticker - Month and year of last cylinder visual inspection.